The Swedish industrial company announced in April 2017 that it had agreed to acquire Itubombas. Based in Itu, in the Brazilian state of São Paulo, Itubombas rents out diesel and electric driven centrifugal pumps to the oil and gas, construction and mining sectors. Itubombas employs around 40 people and had 2016 revenues of approximately BRL18 million. Itubombas is now part of the Specialty Rental division in Atlas Copco’s Construction Technique business area. 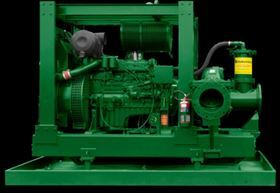 In addition to pumps, Construction Technique provides construction and demolition tools, portable compressors, generators and lighting towers. Atlas Copco is buying Itubombas Locação Comércio Importação e Exportação Ltda, a pump rental company based in Itu in the Brazilian state of São Paulo.